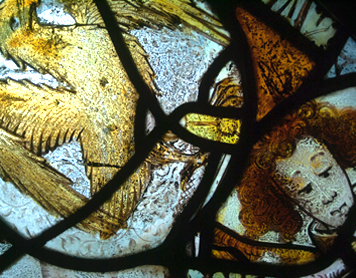 Specialists in the conservation and repair of stained glass. Makers of leaded lights and glaziers of historic and traditional buildings. Designers and makers of new stained glass windows. Founded in 1986, we are a multi-disciplinary stained glass studio offering the design of new stained glass windows as well as trusted, professional conservation and repair of all periods of stained glass. We are based in Wales on the Radnorshire/Herefordshire border. We work all over the country. We offer the highest levels of craftsmanship and care. Stained glass design and making new stained glass to commission. Fine glass painting, including the replication and use of old techniques and skills. Stained glass for interiors and doors. 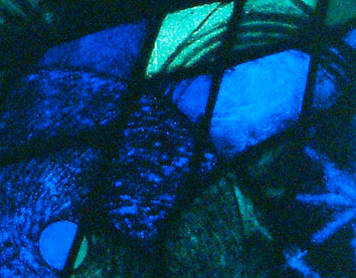 The conservation and repair of damaged or deteriorating stained glass. The protection of vulnerable windows. 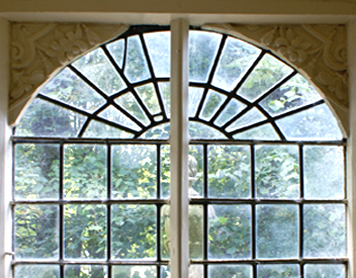 The repair of plain leaded windows. The glazing of old buildings and historic houses. Jim Budd ACR is an ICON accredited Conservator. Our conservation studio clients include: The National Trust, The Churches Conservation Trust, The Duchy of Cornwall, The Historic Chapels Trust, Friends of the Friendless Churches, Jersey Heritage Trust, Dore Abbey Trust, Pluscarden Abbey, Hereford Cathedral, Brecon Cathedral, Llandaff Cathedral, as well as many parish churches, historic houses and homes.